Kavita Daswani is an international journalist covering fashion, beauty, travel, design and celebrities for a range of global publications. A former fashion editor for the South China Morning Post in Hong Kong and Asian correspondent for Women's Wear Daily, both of which she still contributes to, she also currently writes for the Los Angeles Times, Cosmetic News Weekly, JustLuxe.com, Crave and the international editions of Vogue, Conde Nast Traveller and Grazia Italia. She is also a former lifestyle and fashion correspondent for CNN International and CNBC Asia. 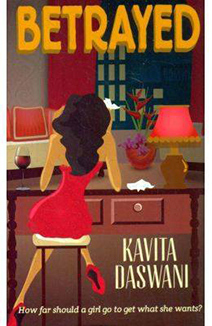 In 2003, Kavita published her first novel, 'For Matrimonial Purposes'. That was subsequently followed up with 'The Village Bride of Beverly Hills' and 'Salaam Paris', all through Penguin. In 2007, she published her first Young Adult book, 'Indie Girl' (Simon Pulse). Another teen book, 'Lovetorn"', came out in January 2012 through Harper Collins. In July 2012, Harper Collins India released Kavita's first book written specifically for the Indian market, 'Bombay Girl', set in the high-society world of one of India's most sophisticated cities, and centering around the control of a family dynasty. 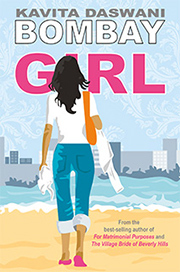 "Bombay Girl" is part of a three-book deal with the publisher. The sequel, 'Betrayed', was released in 2015. The final book in the series will be published in 2018. 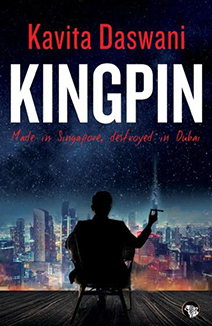 'Kingpin' is her newest book, launched by Speaking Tiger in May 2016. Her books have been published in 17 languages. 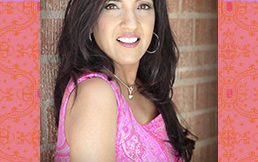 Kavita lives just outside Los Angeles with her husband and two sons.